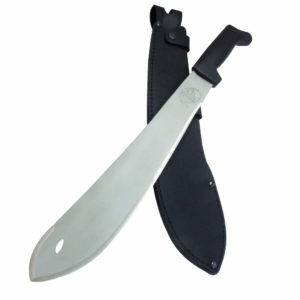 The Bolo Machete is popular in Southeastern Asia where it is a commonly used as a farming and agricultural tool. 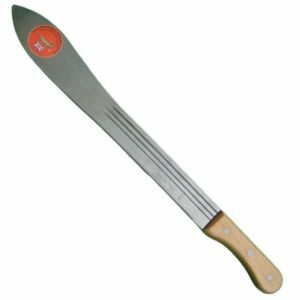 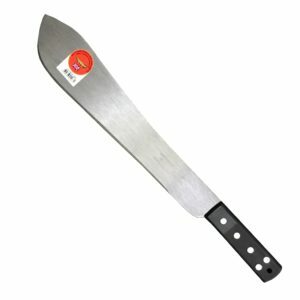 The bolo machete excels as a harvesting tool for narrow row crops, such as rice, soybeans, peanuts and mung beans due to the distinctive bulge, adding a heft to the fore-blade that provides additional chopping power. 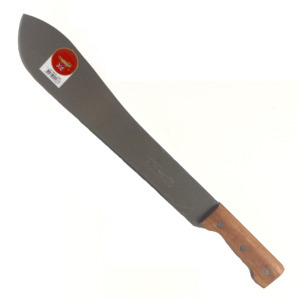 Uses: Compact, weighted machete good for harvesting crops and chopping woody vegetation. 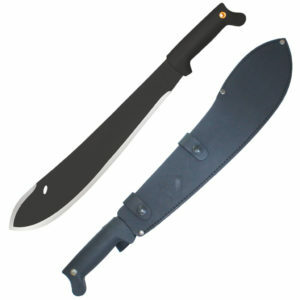 1075 HC Steel Bolo style blade with black powder epoxy finish. 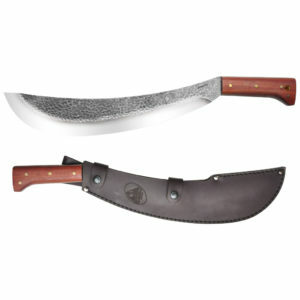 Bolo style 420 HC stainless steel blade with satin blasted finish.